An eye-catching template with a functional format. 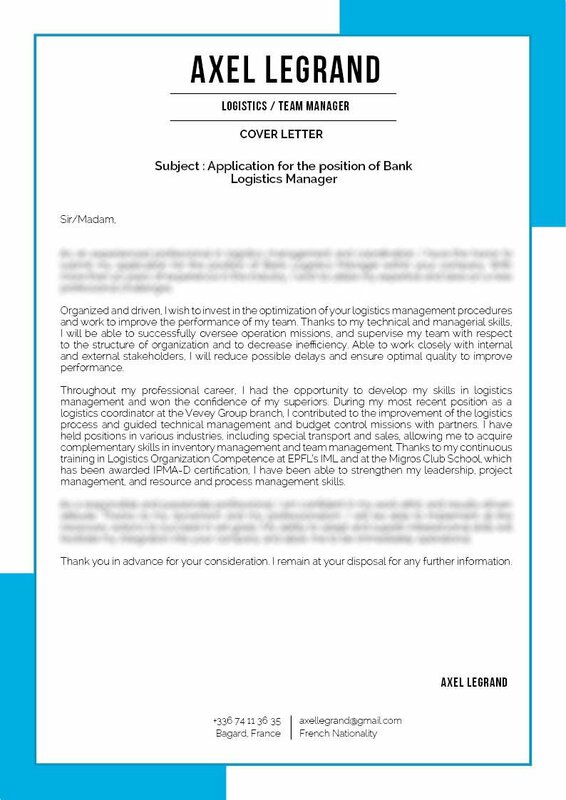 Cover letter to download "Logistics-3"
This template uses a simple, yet eye-catching Cover letter design that presents all your qualifications clearly! 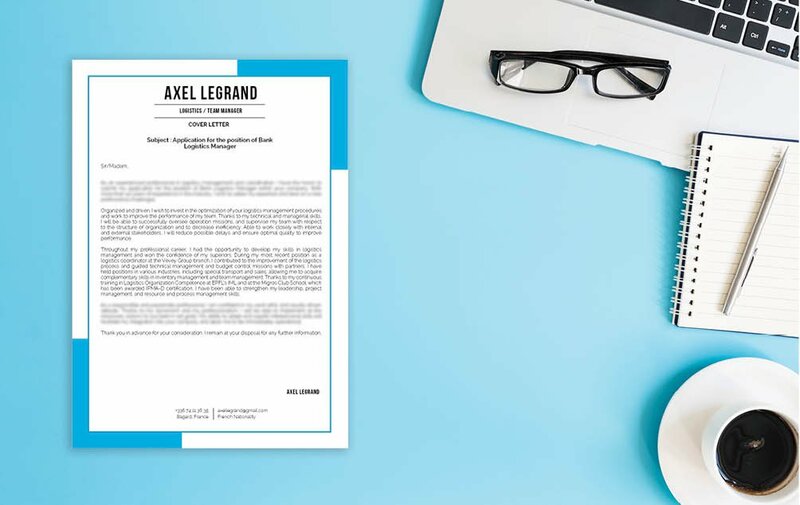 This cover letter template uses a standard format that can be easily understood by your potential employer as all the content relevant to the job objective is laid out perfectly for them to read. With that being said, this perfectly applicable to candidates aiming to bank logistics managers – land that dream job with this template! 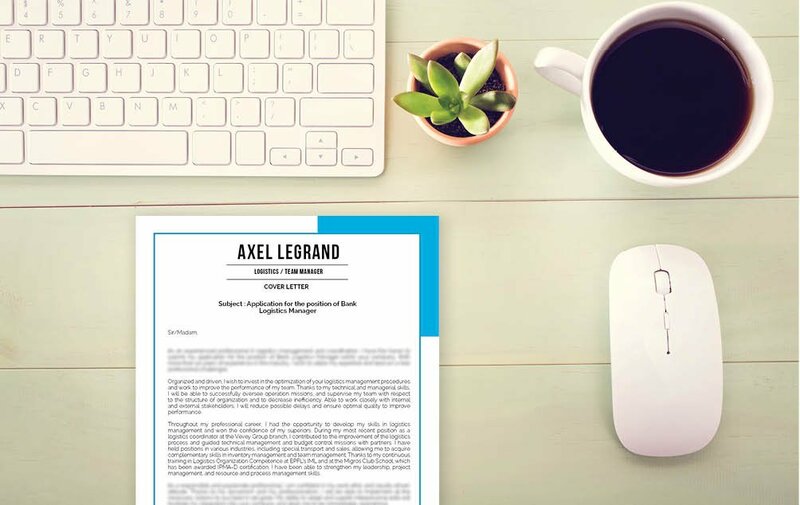 It's best to keep your cover letter clear and comprehensive. Stick to a simple and standard format that makes it easier to read for your potential employer, yet still giving it a professional look that any recruiter will appreciate. To achieve this, use a professional font like Calibri or Helvetica. Select a font size between 11 and 12, and selectively apply bold/italic font styles to the guide the eyes of your reader throughout your cover letter with ease. 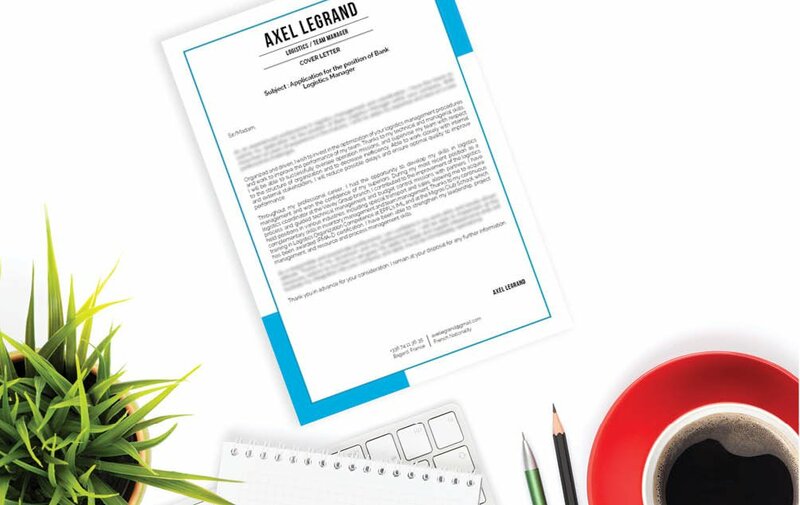 The use of graphics and bullets will bring emphasis on the key phrases of your cover letter. Lastly, give your cover letter a logical format by using headings and subheadings effectively.